Rcom 4G vs Jio 4G how do they compare? Reliance Communications has announced to roll out their 4G networks starting this week in 12 circles where they have already stopped CDMA network & integrated their airwaves to run 4G LTE network in sub 1 GHz band; and as many people have a confusion between RCom’s 4G & Jio’s 4G, we decided to bring a detailed report on RCom’s 4G offerings, network, coverage, availability & initial consumer experience & more. Anil Ambani led telecom operator had announced last year that they would launch Pan India 4G with the help of Jio, a new 4G player by Anil’s brother Mukesh Ambani. To launch 4G, RCom purchased additional spectrum in 850 MHz Band in the last concluded spectrum auction. Later to liberalise all their 850 Mhz spectrum holdings, which they were using since more than a decade for providing CDMA telephony, RCom approached the telecom regulator, TRAI. Against a fee, TRAI has permitted them to use those liberalised airwaves for 4G purposes in some key circles like Kolkata, Mumbai & Delhi. However, they haven’t got their spectrum in contiguous form in some circles which would happen shortly. Most of the RCom 4G subscribers who have migrated to 4G after the CDMA network closure would get access to RCom 4G which will initially ride on the back of Jio’s 1800 and 2300 MHz LTE network as RCom is selling MiFi devices which supports Jio’s Band 40 and Band 3. Later after the integration of its own 850 MHz spectrum with Jio it will launch its own 4G on band 5. As LTE doesn’t support native voice calls like 3G & 2G networks, VoLTE developed on IP Multimedia Subsystem is a solution to offer voice calls on LTE network which Jio is using for their networks. On the other hand, 4G operators like Bharti Airtel, Vodafone & Idea is using Circuit Switched Fall Back or CSFB for providing voice telephony services. When a call arrives or somebody dials a call, CSFB helps to fall back to 3G or 2G networks, so one can enjoy voice services along with high speed data on LTE network. As per internal sources, RCom has plans to use CSFB for voice calls as they have regular 2G or 3G networks in most circles to fall back on. RCom 4G is running on Jio’s all IP system. Also RCom haven’t built a network for providing 4G but using Jio’s infrastructure in circles, thanks to government’s telecom infrastructure sharing policy & Jio-Rcom deal which allowed both the telcos to share or utilise their spectrum & infrastructure resources. So basically we can say RCom’s 4G network is another network by Jio. Since RCom 4G is based on sub 1 GHz spectrum it can offer better coverage than Jio’s prime LTE bands. In our initial test we found that RCom 4G network was offering up to 65% better indoor coverage than Jio’s Band 40 network. Also in several villages under Kolkata circle we found out RCom’s 4G network was more stable than Jio’s Band 40 & Band 3 network signals. Unlike Airtel, Vodafone; Reliance hasn’t shared any details about their free VAS contents for 4G customers. As RCom’s 4G launch isn’t a massive rollout to all its customers, we are expecting when they would open 4G services for all their customers including prepaid & high revenue generating post-paid customers, they can offer contents like movies & music from their own entertainment arm Reliance Entertainment. RCom’s CDMA customers who have upgraded to 4G network, initially can enjoy 4G network at roaming through Jio’s network. 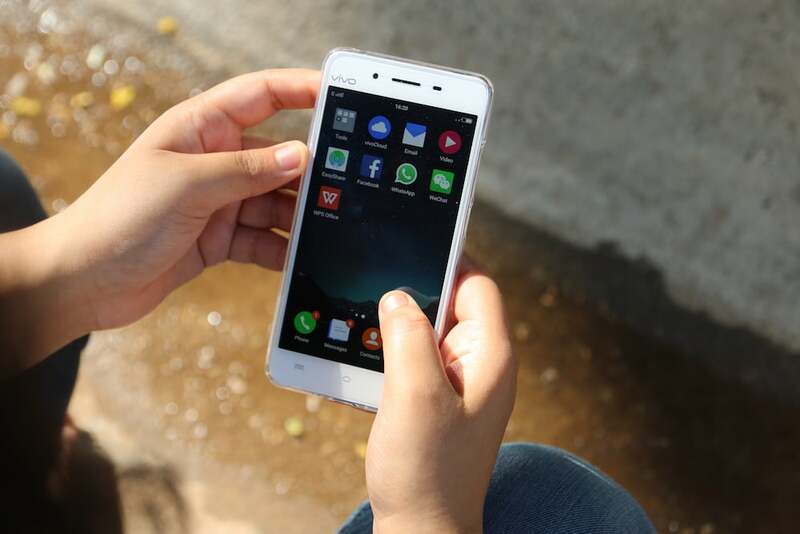 Some of our sources in RCom have confirmed that RCom customers can choose between their own 3G, 2G & Jio network during roaming to any Indian state. RCom 4G services would be available to fewer circles initially which will be expanded to Pan India after sorting out issues like contiguous spectrum, TRAI approval, integration with Jio’s infrastructure. Currently RCom 4G signal is available in 12 circles namely Mumbai, Delhi, Kolkata, Gujarat, Andhra Pradesh, Maharashtra, Punjab, UP East and West, Odisha, Madhya Pradesh and Bihar. However, RCom isn’t allowing its 4G subscribers to use the network now. RCom has announced the 4G network launch dates for these 12 circles which you can find in the chart below. One of Reliance Communications employee requesting anonymity shared ‘the company is facing issues with voice calls, hence delaying its 4G launch’. Currently RCom 4G SIM cards are available to only existing CDMA & NetConnect customers. However, the company hasn’t announced anything about 4G upgrade for GSM subscribers, but according to some distributors, RCom can offer 4G services to higher revenue generating post-paid customers from October. Though RCom hasn’t revealed much about 4G data tariffs, we can get an idea from revealed data on their website which showed they would charge Rs 300 for 1 GB while 10 GB packs would be priced around Rs 1750. It’s still unclear whether old RCom CDMA unlimited data customers would get unlimited data access on 4G network or data limits would be applied for them. Also RCom 4G prices would be at par with other players till Jio’s commercial launch, once Jio launches price of 4G data would be drastically reduced to almost half of the current data rates. Is Jio 4G & Reliance 4G the same? No, both companies are different but both the 4G networks are managed by same infrastructure owned by Jio. But Jio customers would get some more benefits like access to Jio series apps. Also according to our sources Jio 4G data plans would be 50% cheaper than RCom 4G. Which is better for 4G purposes, RCom 4G or Jio 4G? Obviously Jio as the Mukesh Ambani led telco has built solid data network & present in most of the highways & villages, even where 2G networks aren’t available. But in case of RCom 4G, RCom customers would be able to access 2G & 3G networks of Reliance Mobile & Aircel, depends on circle to circle. Also Jio’s VoLTE faces issues as sometimes the call quality is poor & cracks so RCom’s regular voice would give them an edge over Jio. As RCom 4G is running on 850 Mhz, how Jio users would get 4G access on 850 Mhz? 850 Mhz or Sub 1 Ghz LTE band is crucial to Jio as the company has 4G networks on Band 40 (2300 MHz) which has issues with indoor connectivity & can cover only a small portion of area compared than 850 Mhz band which can offer better indoor coverage & connectivity in villages. In our initial network test in Kolkata circle, we found that RCom’s 4G network was running on 850 Mhz band, but on our Jio SIM we were able to get 850 Mhz signal only when we got into a bad coverage zone. And the network shifts to 850 Mhz automatically, when Band 40 signal crosses 116 -120 dBm signal strength on Jio SIM. So it wouldn’t be a major problem for Jio users to get a good indoor coverage due to 850 Mhz signal. Also in some villages close to NH 35, we found that there was no band 40 signal, but 4G on 850 Mhz was available there & we got 5-7 Mbps of average download speeds there. Can RCom 4G get access to Jio 4G network through manual mode? Currently during our network test done in Kolkata, we found that RCom 4G SIM cards don’t give access to register on Jio network. Though the SIM chooses Jio’s network automatically if customer activates data roaming feature. But it can’t be done through manual mode as of now, due to certain reasons. Also, Jio 4G customers aren’t getting access to RCom’s 4G network manually through network search menu in circles like Kolkata where the RCom 4G network is active. Reliance Communications 4G launch has missed several deadlines & most of the customers who have shifted from CDMA networks are facing several issues as there’s a lack of details available regarding RCom 4G. Even after a month RCom hasn’t revealed the data tariff for their customers who were on old plans. Also few customers who have switched to 4G are still in the dark if they can use their 4G SIM as normal 3G number or not. So ultimately RCom has made the issues worse rather than making the whole process smoother. Even after announcing 4G network launch in May end the company is still struggling to offer 4G to existing migrated customers who are using 4G SIM on 2G, 3G networks. But we are expecting the problems to be resolved in a few weeks & RCom subscribers would enjoy 4G network access. Also RCom may lower the prices of data rates & extend the 4G services to existing high revenue generating post-paid customers to compete with Airtel & Vodafone in the 4G space. Jio sabko maar dio. Even small retailers are also suffering so much. There business falls to minimum. Does holding of rcom shares will give me some chance of getting profit !? After jio launch ; does it affect rcom price? Plz reply if anyone out here knows the market circumstances !